What is it like to work at Ashford? Set in the beautiful grounds of St. James’ School, you’ll be working at a camp with a fantastic atmosphere that is led by a hugely enthusiastic team of staff! Ashford also boasts some fantastic indoor and outdoor facilities, including a water park for the sunniest days! 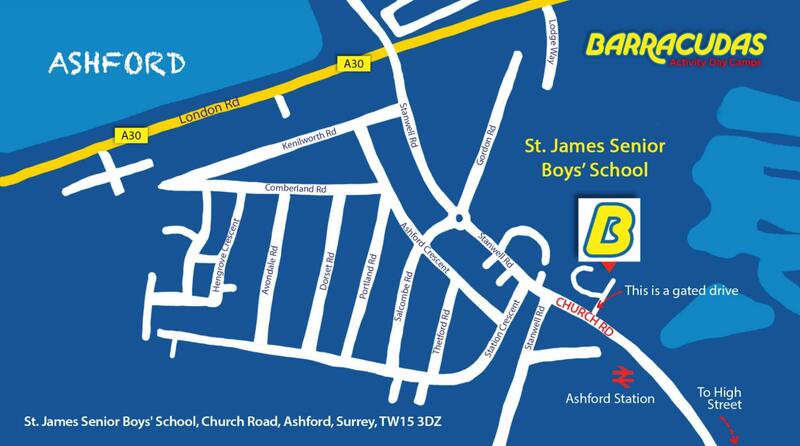 The camp is also just a short walk from Ashford Train Station. Please Note: This camp is also close to our Twickenham, Cobham and Woking camps, so if the role you are looking for isn’t available, be sure to check these camps out too!